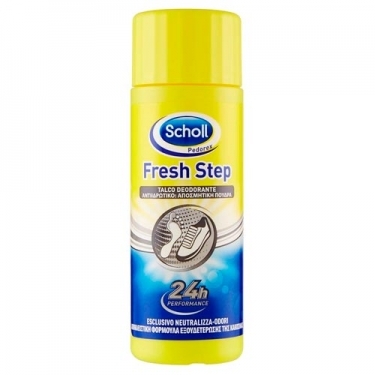 DESCRIPTION: Fresh Step Foot & Shoe 2in1 Powder from Dr. Scholl is a powder deodorant for feet and footwear that protects feet from odor and moisture by controlling perspiration of the foot. Treats bad odor of feet and footwear, unlike traditional products that just disguise the same. Its regular use helps prevent bad odor formation and keeps feet and footwear fresh. Also wear regular shoes and sport shoes for additional protection.